Process Special Pay Increases; this entails calculating the percentage of increase, and monitoring the job action to ensure it is processed accurately. Process annual and sick leave cash-outs for terminated/retired employees. Process off-cycle checks when authorized. Monitor payable time and leave entered to ensure that employees are paid accurately. Monitor leave balances and inform employees of the deadline for use of accrued compensatory time, unused personal holidays, and when they reach the maximum vacation hours prior to conversion to sick leave. Upon request by ADHR, provide supervisors the amount of leave taken by each employee under their supervision. Verify distributions on each of the Academic, TEAMS and Exempt USPS employees at the beginning of the fiscal year. Process TEAMS evaluation letters. Responsible for the completion and submission of Effort Reporting & FARs each semester. Receiving documents from departments under their supervision, obtaining approvals and signatures, maintaining track of documents and returning documents to proper personnel. Maintaining the probationary appraisals spreadsheet, drafting up the appraisals and sending them to the respective supervisors. Responsible for processing probationary & annual appraisals. Responsible for maintaining and updating the electronic directory, departmental addresses and phone lists when employees are hired or terminated. Processes appointments for Academic Personnel, TEAMS, Exempt USPS and OPS employees in the Office of Research and other units that report to the Office of Research. This entails the background check request, letter of offer, checking salary information for accuracy, payroll sign-up documentation (I-9, W4 etc,), and verifies the education credentials and experience for new employees. Assist new hires on the electronic on-line payroll processing system through Human Resource. This computer based program loads all of the HR forms (I-9, W4 etc,) for processing. Incumbent reviews all of the necessary information for hire. Responsible for completion and submission of Travel Authorizations and Expense Reports for the assigned Office of Research staff. Assigned departments include Research Program Development, Institutional Review Board, Contracts and Grants, Office of Clinical Research, in addition to Assistant Directors and Assistant Vice Presidents. Maintain knowledge of Travel and Expense policies and procedures to ensure proper compliance. Processes Wireless Device Allowances for the Office of Research. 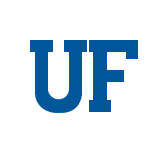 Responsible for the proper use of PCard for department purchases and miscellaneous expenditures and follow mandatory UF procedures and requirements, this includes making authorized purchases of goods and services within preset limits on behalf of the University of Florida. Knowledgeable of the PCard procedures and regulations, ensuring that there is budget to cover purchases, Monitor PCard activity, review PCard reports in enterprise reporting, Provide PCard verifiers the documentation required to reconciling PCard charges. Provides information to the Purchasing PCard Team in resolving any disputable charges. Cross-Training to serve as back up for the Administrative Assistant in regards to Graduate Student Travel Requests and PCards. Incumbent distributes agendas for the UFRF bi-annual board meetings following review and approval by the Assistant Director. High school diploma or equivalent and four years of relevant experience. Ability to answer a multiple phone line system in a professional manner. General knowledge of the operations for the various offices. Knowledge of professional office skills. Knowledge of effective written and oral communication, ability to articulate and interpret information. Establish and maintain professional and effective working relations with others. Maintain confidentiality of all information entrusted to this position. In order to be considered applicants must submit a cover letter, resume and professional references.